In this “nuanced, sharp, and beautifully written” (Michael Chabon) debut novel, a young man prepares to serve in the Israeli army while also trying to reconcile his close relationship to two Palestinian siblings with his deeply ingrained loyalties to family and country. The story begins in an Israeli military jail, where—four days after his nineteenth birthday—Jonathan stares up at the fluorescent lights of his cell and recalls the series of events that led him there. Two years earlier: Moving back to Israel after several years in Pennsylvania, Jonathan is ready to fight to preserve and defend the Jewish state. But he is also conflicted about the possibility of having to monitor the occupied Palestinian territories, a concern that grows deeper and more urgent when he meets Nimreen and Laith—the twin daughter and son of his mother’s friend. From that morning on, the three become inseparable: wandering the streets on weekends, piling onto buses toward new discoveries, laughing uncontrollably. They share joints on the beach, trading snippets of poems, intimate secrets, family histories, resentments, and dreams. But with his draft date rapidly approaching, Jonathan wrestles with the question of what it means to be proud of your heritage, while also feeling love for those outside of your own family. And then that fateful day arrives, the one that lands Jonathan in prison and changes his relationship with the twins forever. 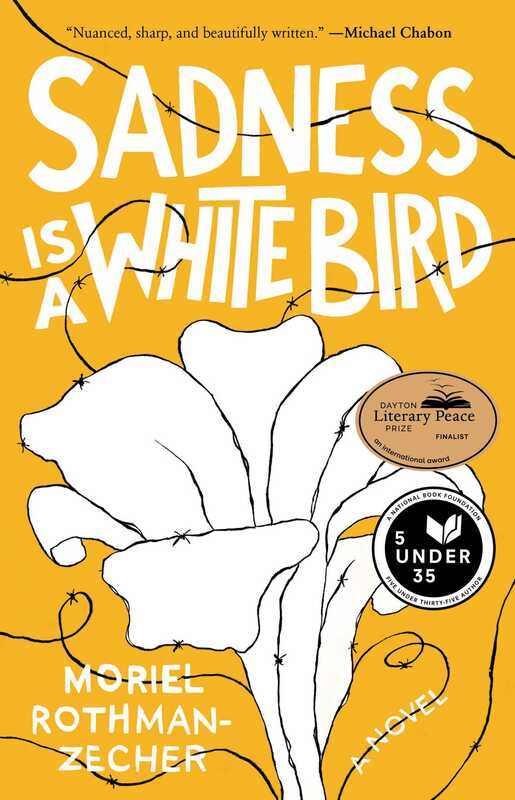 “Unflinching in its honesty, unyielding in its moral complexity” (Geraldine Brooks, Pulitzer Prize–winning author), Sadness Is a White Bird explores one man’s attempts to find a place for himself, discovering in the process a beautiful, against-the-odds love that flickers like a candle in the darkness of a never-ending conflict. This reading group guide for Sadness Is a White Bird includes an introduction, discussion questions, and ideas for enhancing your book club. The suggested questions are intended to help your reading group find new and interesting angles and topics for discussion. We hope that these ideas will enrich your conversation and increase your enjoyment of the book. When Jonathan moves back to Israel after high school, he is eager to join the army and defend the Jewish state that his grandfather helped establish. But Jonathan is also conflicted about the possibility of having to monitor the occupied Palestinian territories, a concern that only grows more urgent when he meets Nimreen and Laith, the twin daughter and son of his mother’s friend. 1. Given that Jonathan shares an intense bond with both Laith and Nimreen, why do you think he addresses the novel to Laith? How does this second-person perspective contribute to the experience of the novel? 2. Throughout the story, Jonathan keeps referring to the twenty-six Arabic synonyms for love that he learned about from Laith and Nimreen that night on the beach. Why are these so important to him? What do you think the novel is trying to communicate about the connection between language and culture? 3. The title of the novel comes from a poem by Mahmoud Darwish called “A Soldier Dreams of White Lilies.” Why do you think the author chose this title? What is the significance of the poem to the story the author is trying to tell? 4. What did you think of the author’s decision to make Jonathan’s sexuality fluid? How did that aspect of his character affect the story? 5. Does it make a difference to the story that Jonathan knows Arabic? How does the author’s inclusion of Arabic and Hebrew phrases affect your reading experience? 6. Consider the conflict that transpires when, on page 97, the three friends hitchhike a ride back to Haifa with a pair of Jewish siblings before Shabbat. Can you identify a turning point when the car ride goes awry? Do you feel the blame lies entirely with the driver and his sister? 7. On page 128, Nimreen takes Jonathan to meet her grandmother Selsabeel Ziad, and there he learns about her past, beginning with her marriage in 1956. How does reading her story influence your perspective on the conflict? How does her account compare with Saba Yehuda’s perspective? 8. Why does Jonathan embark on a pilgrimage to Salonica, Greece, in chapter twelve? What is he hoping to discover there, and what does he end up with? 9. What did you make of Jonathan’s insubordination in chapter eighteen, following the riot at the climax of the story? He knew there was no way he’d go unpunished, so what do you think was going through his head? 10. Near the end of the novel, on page 261, the ghost of Jacko, Saba Yehuda’s late brother, appears to Jonathan as he is languishing in his cell. What exactly is going on in that scene, and why do you think the author chose to end the book with it? 1. Read “Why I Won’t Serve Israel,” the author’s New York Times op-ed piece about why he refused to join the Israeli Defense Forces. 2. Watch 5 Broken Cameras (2011) or The Lemon Tree (2008), critically acclaimed movies that humanize and explore different aspects of the Israeli-Palestinian conflict. 3. Read about the Palestinian poet Mahmoud Darwish and explore some of his poems at https://www.poetryfoundation.org/poets/mahmoud-darwish. Read about Israeli poet Yehuda Amichai and explore some of his poems at https://www.poetryfoundation.org/poets/yehuda-amichai. Compare the two poets and their works. 4. Learn about grassroots organizations like Breaking the Silence and Adalah that are working to promote human rights in Israel-Palestine. Visit http://www.breakingthesilence.org.il and https://www.adalah.org/en for more information. Moriel Rothman-Zecher is an Israeli-American novelist and poet. He is a 2018 National Book Foundation “5 Under 35” honoree and received a 2017 MacDowell Colony Fellowship for Literature. 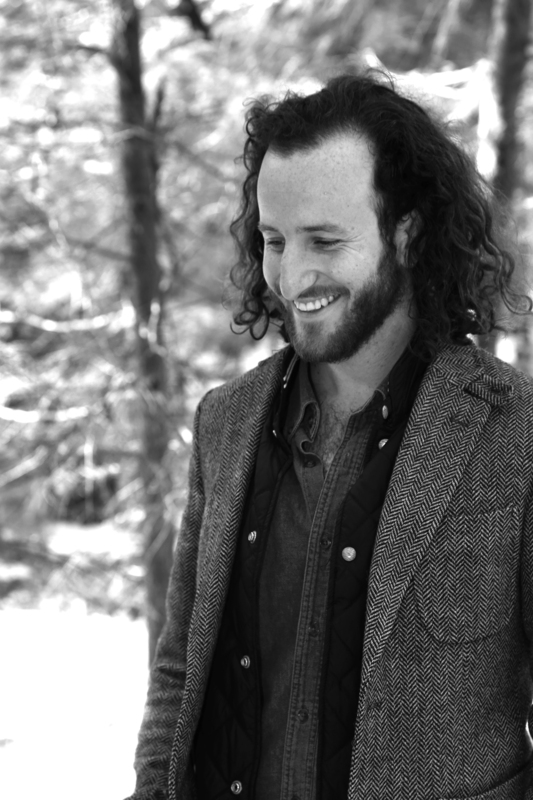 His writing has been published in The New York Times, The Paris Review’s “The Daily,” Haaretz, and elsewhere. He lives in Yellow Springs, Ohio, with his wife, Kayla, and daughter, Nahar. Read more at TheLefternWall.com and follow him on Twitter @Moriel_RZ.